This article has been syndicated to Her Campus from Coffee With Summer, an InfluenceHer Collective member. Read the full post here. Self-confidence is something that I will always be growing in, and I think it's safe to say that I'm not alone in this, right? We're always growing and becoming better versions of ourselves. 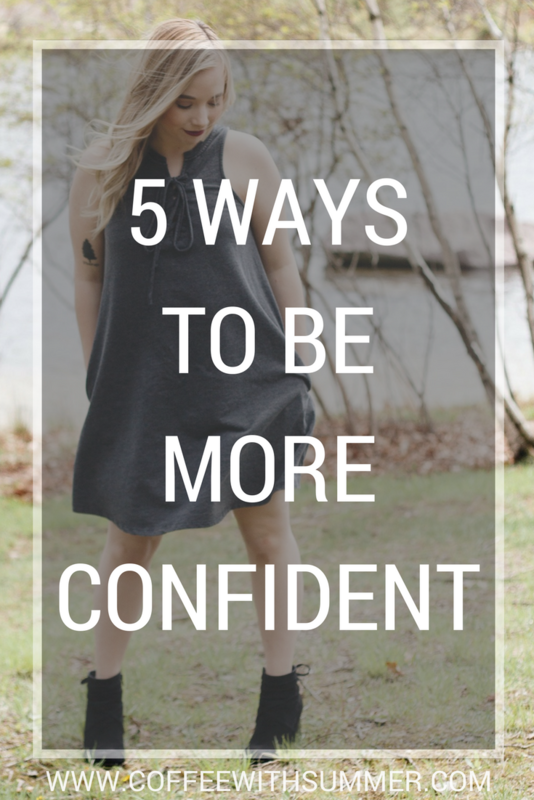 I'm definitely no confidence pro, but I have learned some key ways to always be growing in it. Today, I want to share five of those with you. One of the most important things I have been doing for myself in my confidence journey is learning to not just think positively about myself, but to also talk positively to myself. I have never been someone who's overly optimistic, especially when it comes to myself, so it's always been hard to refocus my thoughts from negative to positive, but it's something that I have to keep on training myself to do. Whenever the negative thoughts creep in, I have to teach myself to combat them with positive truths. The way you talk to yourself creates your reality. This is something I have learned the hard way over the years, and I'm sharing this with you so you don't have to go through the same thing. Kick the negative self-talk out of your life for good. You're so much more than what your thoughts might narrow you down to be. Choose to speak life over yourself. Choose to speak love over yourself. Choose to speak purpose over yourself. We are all human. None of us are perfect. We have all made our fair share of mistakes and troubles. And you know what? That's totally okay. It's okay to make mistakes, but it's not okay to dwell on them. Take the time to acknowledge and accept your mistakes. Reflect on them, but only in the context of wanting to learn from them. The mistakes we make in life are all ones that we can learn from. Some mistakes may be messier than others, but it's a sure thing that we can always learn at least one new lesson from each mistake we make. Mistakes are awkward and uncomfortable, but let those feelings challenge you to learn and grow from them. In the midst of what looks unfortunate, always look for opportunity for growth. The more you choose to learn from your mistakes, instead of dwelling on them, the more free you'll feel. When you're free and growing, your confidence will be constantly illuminating all the more. If you haven't noticed by now, I'm a huge self-care advocate! I believe that in order to grow and be healthy, you have to dedicate yourself to investing in proper self-care. Self-care is everything from getting the proper amount of sleep at night all the way to treating yourself when you need a pick-me-up. If you're struggling in the confidence department, check in to make sure you're treating yourself with the proper amount of self-care. Often, when I'm feeling down about myself and where I'm at, it's because I haven't devoted myself to proper self-care in a while.